Five projects in the Orange electorate have been shortlisted for funding under the NSW Government’s Fixing Country Roads Programme. Parliamentary Secretary for Regional Roads and Orange MP, Andrew Gee, said 194 expressions of interests were received with 122 shortlisted for the development of a full application. “The NSW Government’s Fixing Country Roads programme is designed to better connect local roads to state highways and key freight hubs such as silos, sale yards, rail heads, supermarket distribution centres, industrial parks and depots to make it easier to move regional freight from paddock to port,” Mr Gee said. “Over the next month, Transport for NSW will be in contact with councils and will also be holding a series of workshops in regional locations across the state to assist councils in developing full applications.” Projects shortlisted for the application include the Newell Highway to Wirrinya Heavy Vehicle route upgrade and the upgrade of Middle Trundle Road in Parkes Shire. Full applications will close on Monday, 2nd May 2016, with the successful projects expected to be announced by the end of June. Manager of Westpac, Dean Messiter and his team have been showing off their cooking skills this week in a bid to help some of Queensland’s worst affected drought areas. The staff set up a barbecue outside their building on Clarinda Street and fed hungry passers-by to assist the Burrumbuttock Hay Runners in their quest to deliver much needed feed to farmers in Queensland. “People have been very generous, one man bought a sausage sandwich and paid $100!” said Katie, who works at the bank. “In total we’ve managed to raise $610 from one day of barbecuing so we’re looking at doing something bigger next time to raise even more” said Dean, whose brother, Andrew, is one of the runners, “Andrew is really excited to be part of the hay run this year, it’s his first time and he just wants to give back to the farmers that have helped our country. He’d like to give a big shout out to Brendan Farrell, the organiser of the run, who donates his time and own money to the organisation.” The Burrumbuttock Hay Runners have completed 10 successful runs, managing to deliver 5,000 bales during their last round, and are hoping to make this an eleventh. If you’d like to donate to this cause, the Rotary Club of Sydney handle all monetary donations and their details are as follows; BSB: 062 438, ACC: 10211156, description: Drought Appeal, as the runners are not an organisation, just a bunch of blokes trying to help out fellow Aussies. Member for Calare John Cobb has paid tribute to Parkes after announcing his retirement from politics last Saturday. Mr Cobb, aged 66, was first elected into the federal parliament in 2001 and due to boundary changes, the shires of Forbes and Parkes have been the only two shires to remain in his electorate for his entire time as member for Calare. John all the best with the future. Congratulations to Cheryl and the team on the first edition of the Parkes Phoenix. 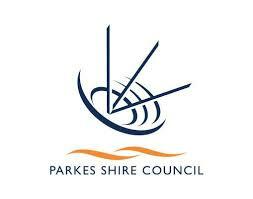 The Parkes Shire is a thriving regional centre with a plethora of major infrastructure developments and boasts a positive and innovative community. New water and sewage treatment facilities are currently under development with a total combined cost of $70M. Council has been planning for these major infrastructure projects for over 20 years, with the existing facilities now reaching the end of their capacity. John Holland Group have been engaged to deliver both projects. These projects will ensure safe, secure and robust water and sewage systems to service the growth of the community. The terminal upgrade of the Parkes Airport is progressing well, with construction due to complete in June this year. The new Parkes Hospital which opened in November 2015, stands as a first class medical facility which will service the needs of the Parkes Shire community into the future. The old hospital site has now been acquired by Council and will be developed into a residential sub-division with the old community health building earmarked for re-development. The annual National Local Government Touch Carnival was held on 27th February with over 300 Local Government employees from across Australia converging for a weekend of fun, fitness and comradery. Parkes Elvis Festival in January 2017. This Easter weekend don’t forget to don the green and head to the Tullamore Irish Festival for a weekend filled with Irish music, dancing and fun, featuring international headline act, Damien Leith. Last Wednesday staff at Parkes Hospital gathered together to sign a special Patient Pledge and share a barbecue. The pledge is aimed to sooth patients’ fears and empower them with the knowledge of what to expect from care provided at the hospital. Beth Masling, Manager of Living Well Together and Corporate Leadership, who was also present at the signing said; “For us it’s exciting to showcase care we’re proud to provide and demonstrate our vow of care to the public.” The signing is part of a broader strategy for the Health District called ‘living well together’. Western NSW LHD Chief Executive, Scott McLachlan, said that the living well together strategy aims to engage staff to achieve excellent patient care and improve the patient experience. reduce their anxiety. Their family is also comforted to know that their loved ones are in good hands” he said, “From our staff perspective, signing the pledge sets the standard of care that is expected of themalways. It demonstrates the difference that making a commitment like this makes in the work that they do every day.” Patients will have access to the pledge at their bedside and are encouraged to speak to the person in charge of the unit if they are concerned about their care. Field Day Fun: Next Friday, 11th March, local businesses will exhibit their products and services at a field day held at Parkes Racecourse from 10am onwards. Ideal for those with agricultural or gardening interests, come and view tractors, sprayers, seed and super bins, motorcycles and more! Entry to the day is free and you could win some great prizes. Students Help Clean Up School! Students at Parkes Public School are participating in a tidy up of the school ground today as part of the ‘Clean up Australia Day Schools’ initiative. The school has been given packs which include gloves and rubbish bags and will present a great opportunity to teach students why it’s so important to look out for rubbish and clean up after themselves. Circus Location Change: Australia’s largest animal circus has arrived in Parkes but has moved location! The new location of the circus, which will run until Sunday 6th March, is at Pioneer Oval, Alexandra Street. This family run circus is a must for lovers of our furry friends and includes mischievous monkeys, African lions and miniature trick ponies! Whether you need a car to scoot around town to grab the shopping, want to head to the city for a weekend away or require a big truck to move furniture around, Thrifty have a wide range of vehicles to choose from to suit you. March is always a busy time of year and this month is going to be jam-packed with events- and popular events require transport for lots of people! Thrifty can offer a 12 seater bus to get you and your friends around town and for this month only you can hire it for just $130, a saving of $50! Conditions apply and if you are an NRMA member you could get an extra 15% knocked off along with any other vehicle you hire. Come in and see Tony and the friendly team at Thrifty and see what they can do for you this month. Give them a call on 6862 1088 or stop at the shop at 131 Clarinda Street. When it comes to engagement rings, everyone has different ideas on the perfect one for them. Our team at Nangar Gems have some great tips to help you and your loved one pick the right ring for you. First and foremost it’s important to set a budget and stick to it! We always strive to meet the budget expectations of our clients. Being a manufacturing jeweller gives us greater flexibility in our prices to meet all sorts of styles, tastes and budgets. We generally offer some basic diamond training to our clients regarding the four C’s (cut, colour, clarity and carat) so they are more informed on what to look out for when making their selection. At Nangar Gems we believe in quality over size and would generally advise our clients to avoid carbon. A carbon flaw is a blemish present within a diamond, usually seen as a black spot. These spots are very noticeable and therefore undesirable imperfections for your perfect ring. We also advise against hollowed out bands and small claws. These tend to wear our quickly and need constant repair, which can eat into your budget! • Her size (if you don’t know bring one of her rings in). • What type of gold she likes. • What shape stone or design she likes. With this knowledge and over 25 years of our expertise, we’re sure that the ring you choose will help you get a ‘yes!’ when you pop the question.